Eh… now you have linked to Bottom & Dister, it's like your one album behind all of a sudden lol. 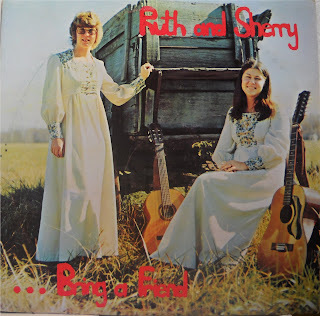 So now i think we need a new link for Ruth and Sherry. Yep, you are right. The good news is that Hymns for Now has the artwork in the folder. Great stuff! is this the right album hope you got it the song list is good. god bless you friend. Thank you for the new and correct link Dia, it's appreciated. This is a really good album. Very homemade and natural. the voacl harmonies are lovely. Pretty much just two voices and acoustic guitars. Very nice. Unfortunately, that host consistently limits the download speed to 20 kb/s. I have tried at different times of the day. Any chance that you might move it to another host? This is Jesus music at its best. Simple guitar accompaniment with excellent harmonization. Very authentic. Check out this link and search for Sherry. Maybe?